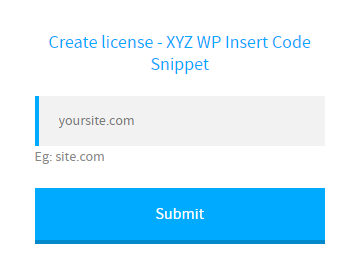 We can enter the license key of the XYZ WP Insert Code Snippet Premium Here. In this click on the ‘Manage License’ link of the XYZ WP Insert Code Snippet – Premium. Now you can copy this code and paste it in your XYZ WP Insert Code Snippet Premium license key section.